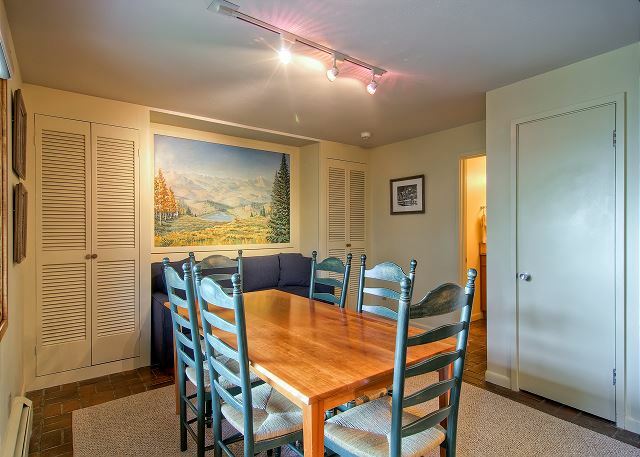 This two level condo is roomy and comfortable. 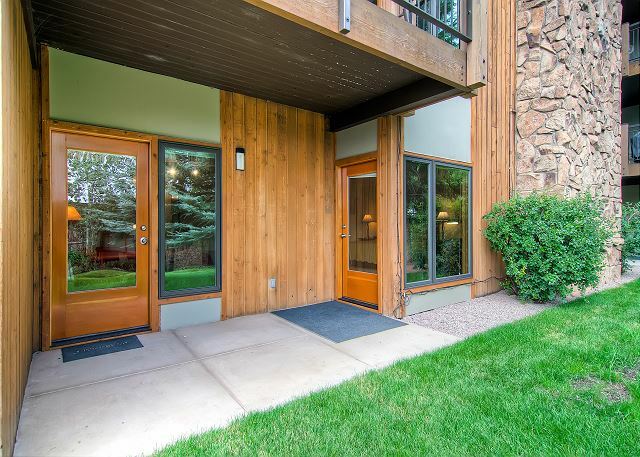 The front door opens up to the covered parking and steps away to the slopes. Plenty of sitting room in living room. Enjoy the gas fireplace with family and friends. 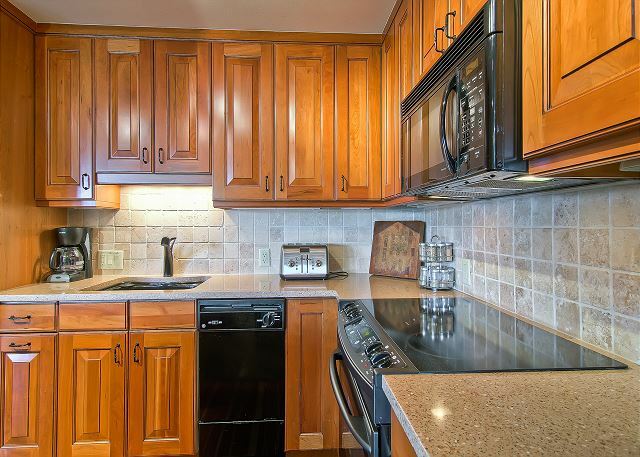 Kitchen is well organized and fully equip with every thing you need. Dining during the day and private sleeping area at night. 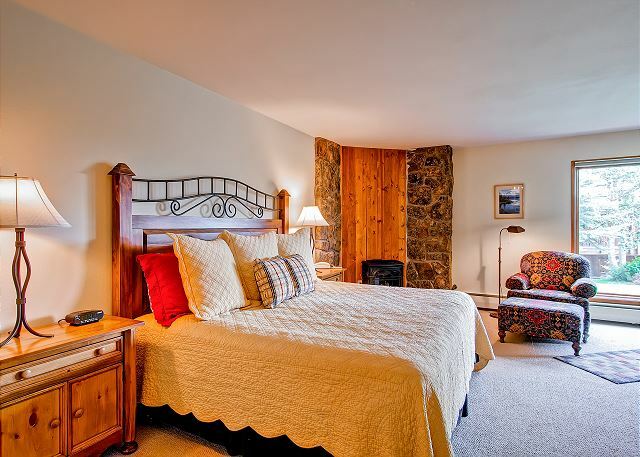 Master bedroom has a king bed, fireplace and a private bathroom. Large master bedroom. Relax in your overstuffed chair. Private full bathroom, entrance to courtyard and queen with a twin for bedding in the second bedroom on the ground level. 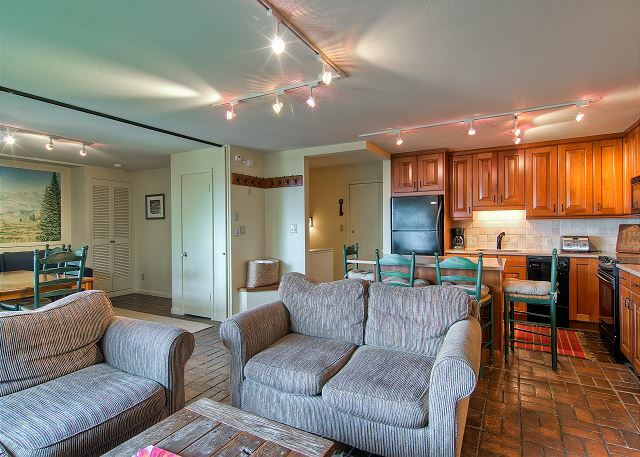 We have stayed in several different units at Shadowbrook and really love the property. 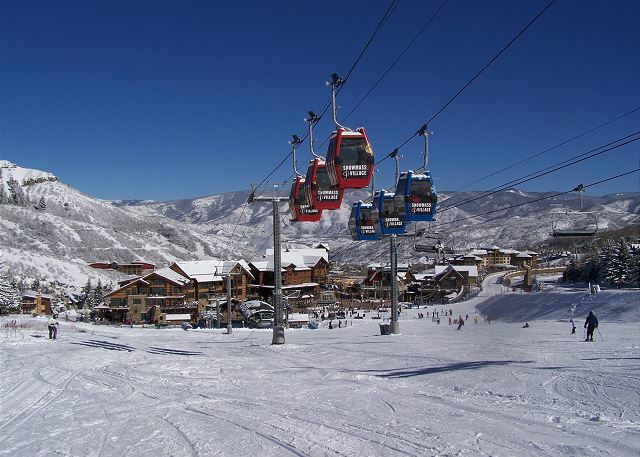 We really would like best to stay in one of the units downstairs and slopeside just for the benefit of ski in ski out right to the door, I know, we are spoliled :) We love Sheri at the front, she is SO helpful and easy to work with. The housekeeping service is wonderful. The units are updated and very well maintained. The grotto in the pool area is wonderful. Excellent location. 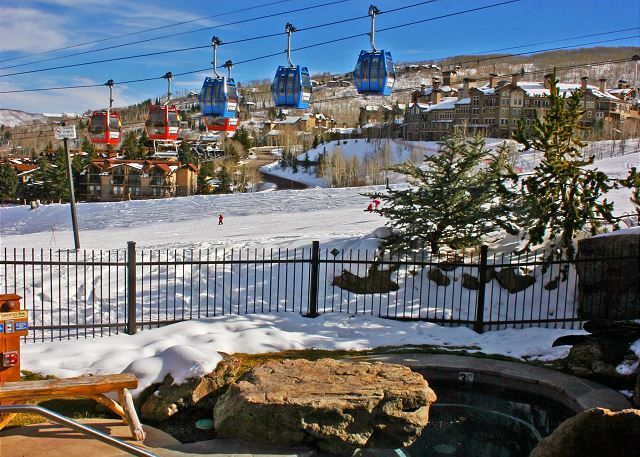 This unit is centrally located nad therefore easy to access the slopes and the pool and hot tub. 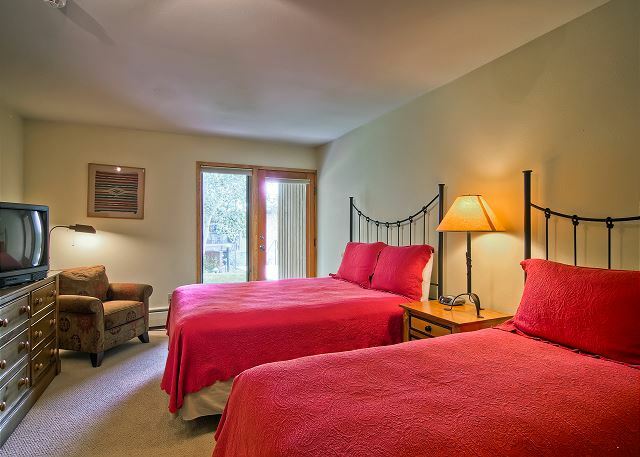 Very comfortable and extra large bedrooms. Love the pool and hot tubs! We have stayed at Shadowbrook yearly since Sue and Keith have been managing it and think they are doing an excellent job. We can't imagine anyone being better at what they do. Hope they continue to manager for years to come.